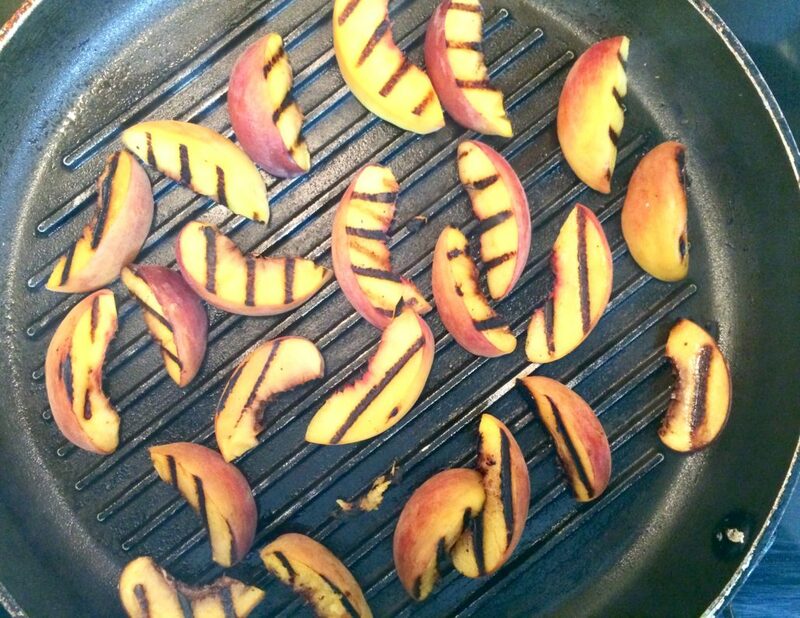 Grilling peaches – or most any fruit – is my new favorite thing. Seriously, you think you know a peach or a nectarine or a plum then you brush it lightly with olive oil and place it on a hot grill or in a hot grill pan just until you get the most delicious grill marks and suddenly fruit is brand new! A quick spin on the grill brings out the sweetness in the fruit and softens it ever so slightly, so grilling is a great way to use slightly underripe fruit. 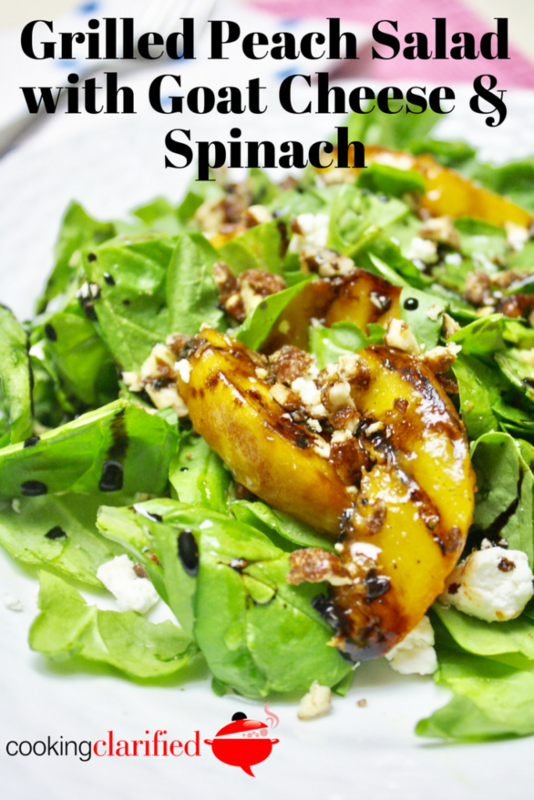 Once my peaches are grilled, I love tossing them into a salad (my Grilled Peach Salad with Spinach & Goat Cheese is a MUST for your summer menu). 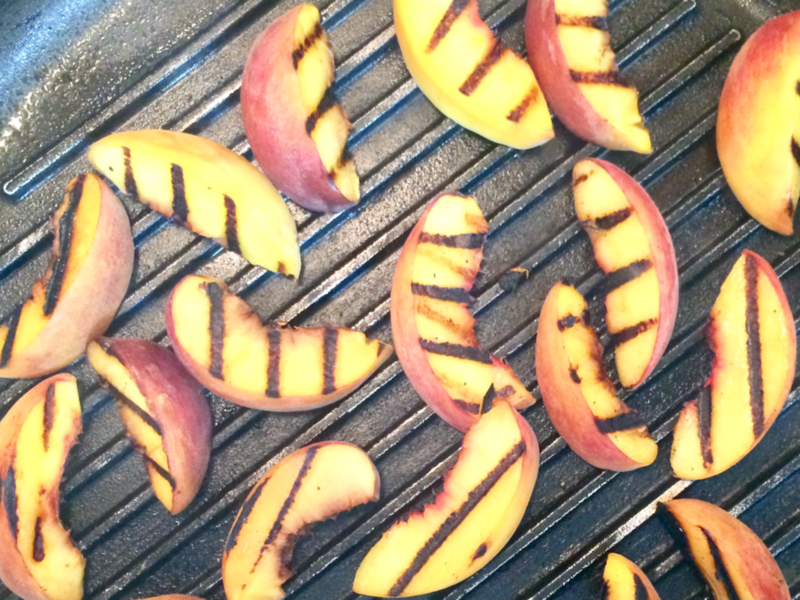 Here’s how simple it is to grill peaches! 1. Choose peaches that are ripe, but not too soft. They should still be a little firm to touch. Soft fruit may not withstand the heat of the grill. 3. Rinse peaches and pat them dry. 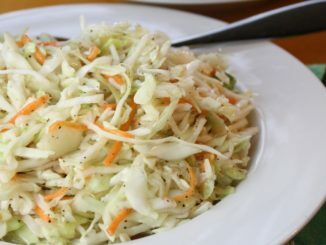 Cut them in half lengthwise and remove the pit in the center. 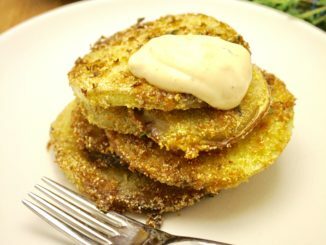 You can grill the halves (cut side down) or cut the halves into wedges at least 3/4-inch thick. 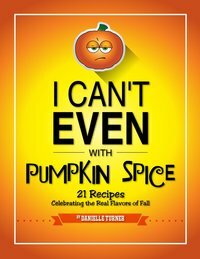 If they’re too thin, they’ll slip through your grill grates. 4. Brush the grill grates with oil or lightly brush the peaches with oil to prevent sticking. 5. Place peach slices on the grill and cook, turning only once, for 1-2 minutes per side, until they soften slightly. 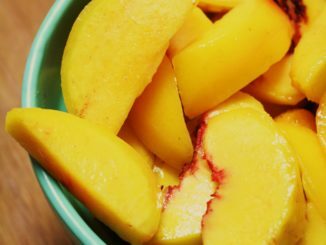 If you’ve marinated your peaches or tossed them with other ingredients (vinegars, wines, sugars or herbs), grill them over indirect heat to keep them from burning. Be careful not to choose overripe peaches. Soft fruit won’t withstand the heat of the grill. Don’t slice peaches too thinly or they’ll slip through your grill grates. 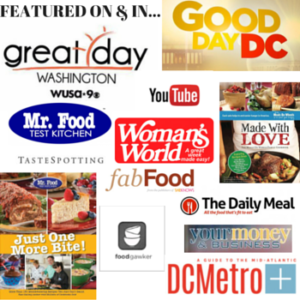 Peeling your peaches is options but you can learn how to peel them here. Heat grill to medium high heat and brush lightly with oil. Stir maple syrup and balsamic vinegar together in a medium bowl. Add peaches and toss until evenly coated. Place peaches on grill and cook, turning once, until they begin to brown and soften, about a minute on each side. Place spinach in large bowl. 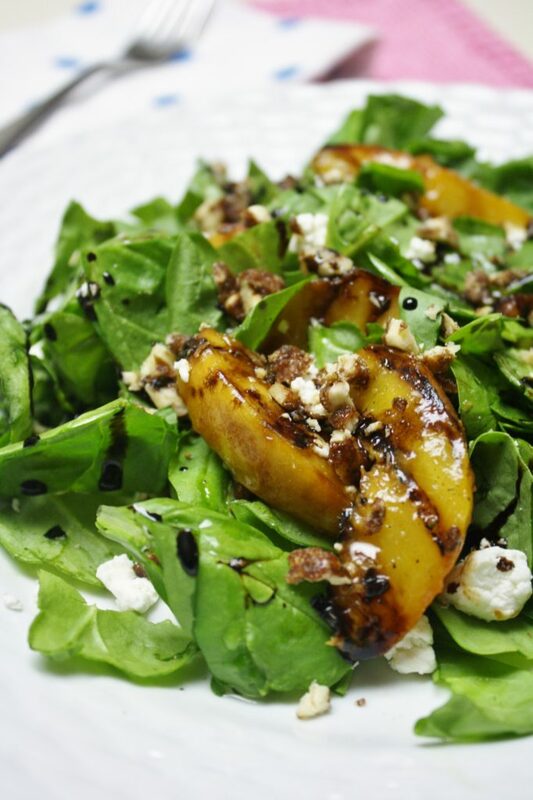 Add grilled peaches, goat cheese and nuts. Drizzle with olive oil and balsamic reduction.